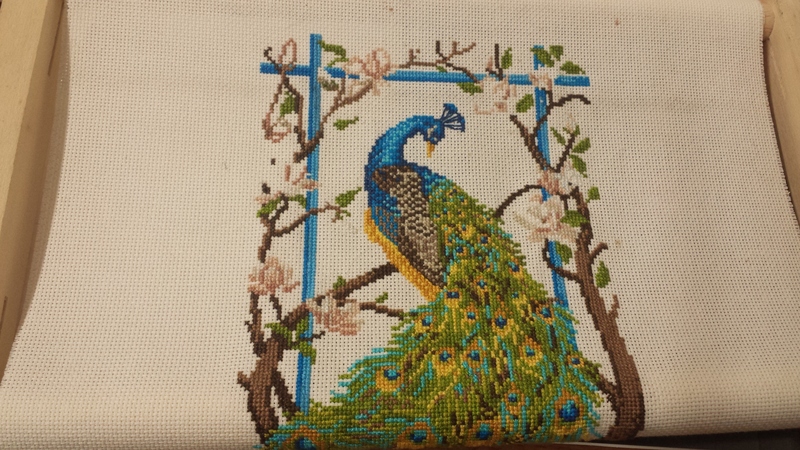 This entry was posted in cross-stitch, Cross-Stitching, Old Ways meets New Ways, Project Peacock, SAL, sewing, Uncategorized and tagged cross-stitch, Project Peacock, SAL by marymargaretripley. Bookmark the permalink. 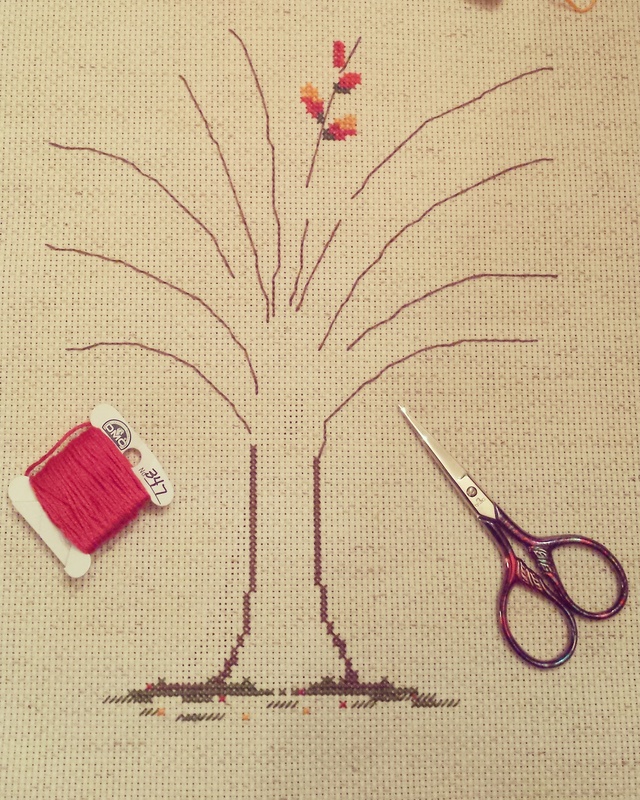 Your stitching looks great. Good luck with the designing. Hang in there Mary Margaret! It is hard when you have the least liked parts to do at the end! I finally started outlining as I go, because I hated it so much! I think your design had a great start. I’m wondering if you can just print some graph paper? I’m going to poke around, I know it is easy to find music staffs to print. 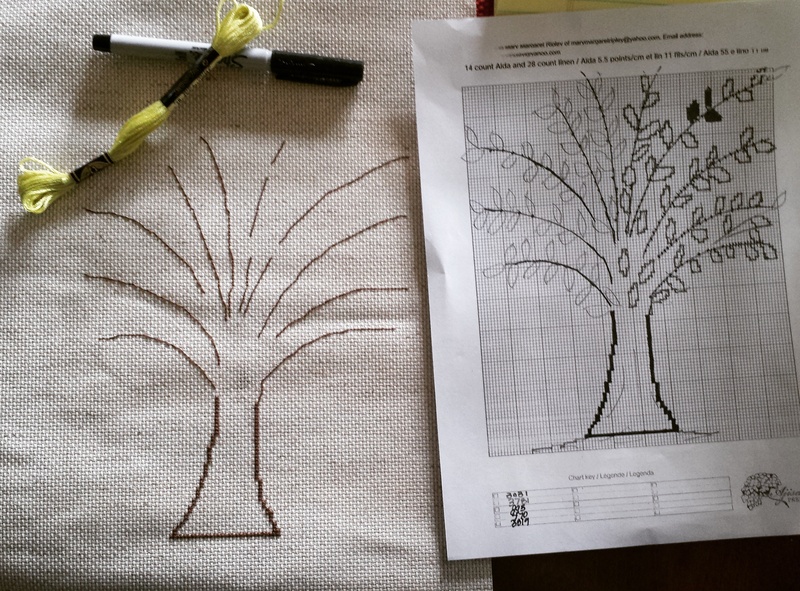 The tree that i drew was on a downloaded 18 count printable graph paper which was ok but it was so tiny that it was impossible to write any symbols in the squares. very frustrating. I was thinking of blowing it up on a copier and just taping multiple sheet together to get a big enough grid. UFDA! I can see how having the matching size would be handy, but I think I would rather have a larger size to write on, as long as there are bolder lines every 10 squares….I think that would work for me, but then again, maybe not! Not sure about the US but here in the UK you would be more libel to find it in a good quality stationers than in a craft shop. The only other option would be printing it off the computer but sometimes printing ink can be messy when you trying to colour over it. I agree. I was thinking of trying out an art supply store. Come on Mary Margaret. One last push to get the peacock finished would be great. The reward…to free up more time to concentrate on your new design. Here, the place to look for graph paper is in a stationary shop, since mmost school kids need that sort of thing for school. Project Peacock is coming along well and your new project, designed by you, is looking great!! Good luck on the designing front! Maybe ask for square paper next time or just print out square paper. I get like this at the end of projects too – too eager to start the next one! Good luck with your design. Your peacock is looking lovely. 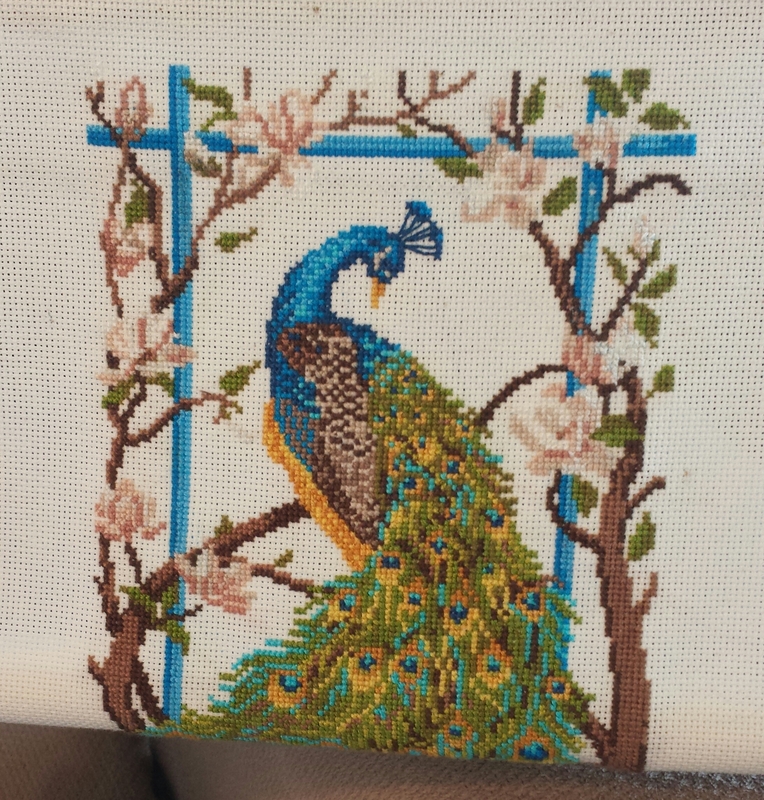 It’ll be well worth doing those less interesting colours to see it finished. So beautiful!!! I’m sure you can get it done 🙂 looking forward to your design, looking great so far! Stunning work! I love peacocks. We had a visit from one in our yard when we first moved into our new house so now I collect them. Thank you Robin! Peacocks are so beautiful aren’t they? What luck to find one in your yard.